Welcome to our store! 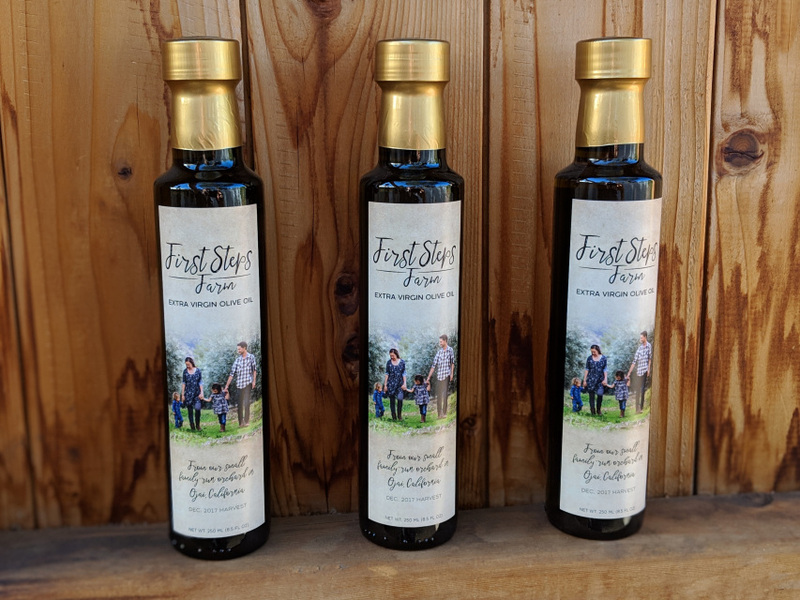 We have a humble but heartfelt product offering, which includes our very own extra virgin olive oil straight from our orchard! Rather than buying in imported oil from a large foreign corporation, you have the opportunity to buy directly from the farmer! 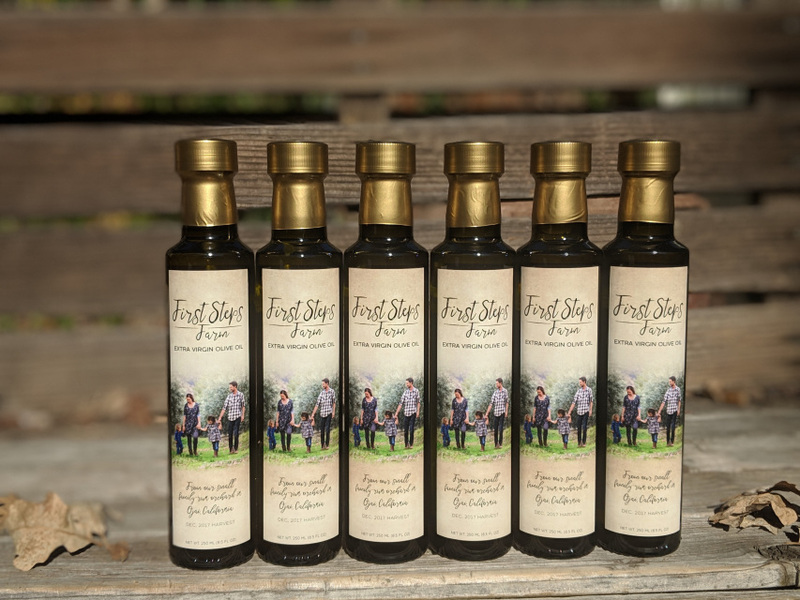 ​Our oil is used and recommended by the chefs / owners of local restaurants Osteria Monte Grappa, Paradise Pantry, and Vegan Mario. ​We also offer cards designed by Deirdre. 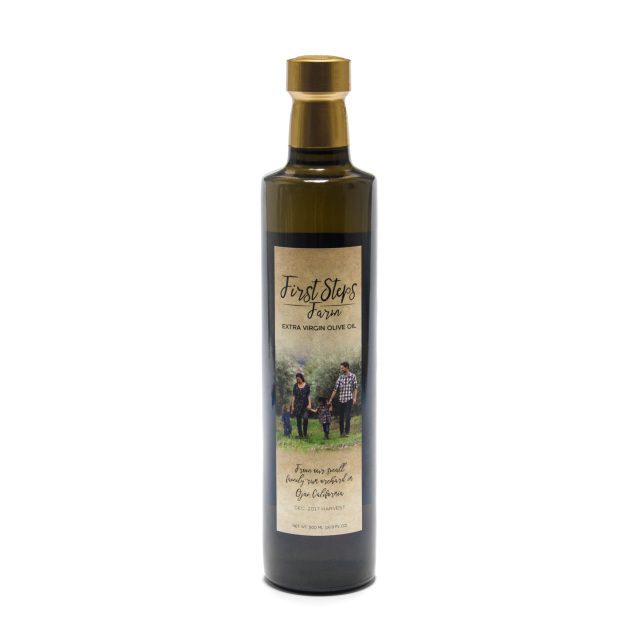 Two 500 ml bottles of our extra virgin olive oil. Four 500 ml bottles of our extra virgin olive oil. 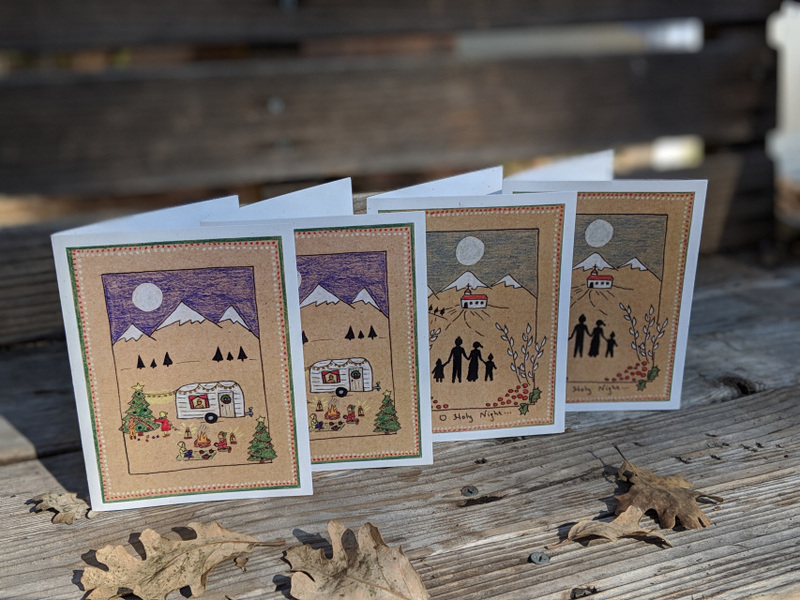 4x5 inch folded Christmas cards featuring Deirdre's folk art. The scene depicts a festive outdoor Christmas family camping experience beneath the snow-capped mountains, illuminated by the full harvest moon. Includes envelopes, printed on off-white cardstock, blank interior. 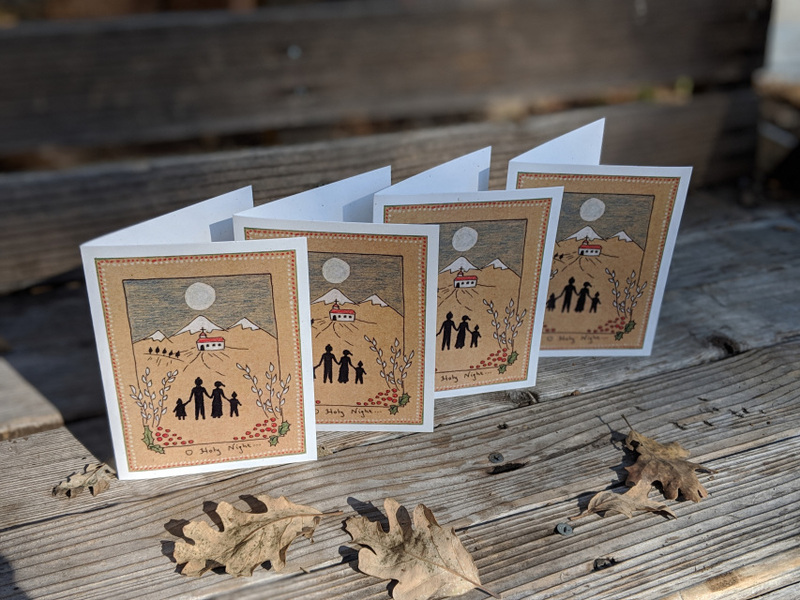 4x5 inch folded Christmas cards featuring Deirdre's folk art. The scene depicts a family walking to Church by moonlight in a pastoral mountain setting. Festive sprigs of holly and berries decorate the border. Includes envelopes, printed on off-white cardstock, blank interior. 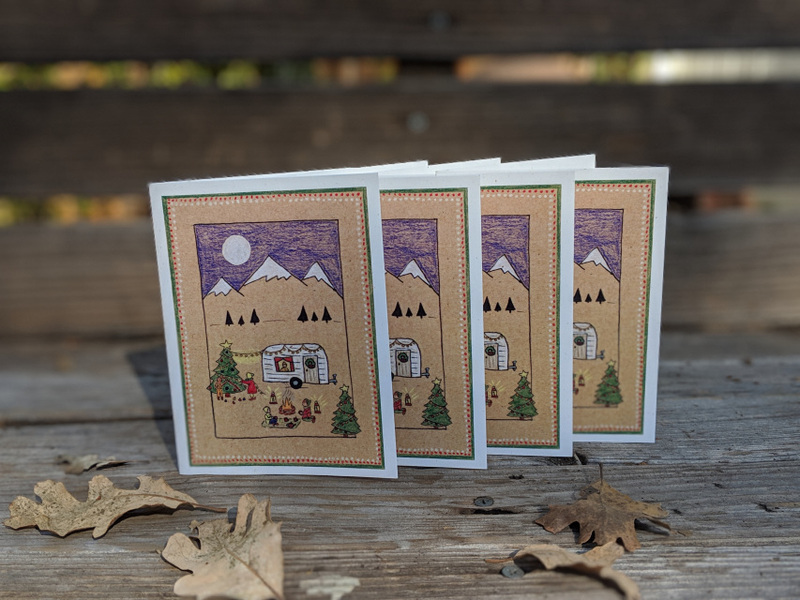 4x5 inch folded Christmas cards featuring Deirdre's folk art. One scene depicts a family walking to Church by moonlight in a pastoral mountain setting. Festive sprigs of holly and berries decorate the border. The other scene depicts a festive outdoor Christmas family camping experience beneath the snow-capped mountains, illuminated by the full harvest moon. Includes envelopes, printed on off-white cardstock, blank interior.